A few months ago I won a gift certificate to the Fat Quarter Shop, and I knew exactly what I wanted to get: a layer cake of Tasha Noel's darling collection, The Simple Life. The patterns and colors in these prints are so perfectly sweet, and I knew that my daughters would enjoy the detailed drawings of children and animals. There's even a little bit of text included on a few prints! If you've never done any paper piecing before, this pattern is a fairly simple way to get started, and it makes for a beautiful project every time. I love the simplicity of the design and the way it allows me to showcase my favorite fussy cut prints. For the back, I used a Denyse Schmidt print from her Sugar Creek and Winding Road collection. I love that shade of dark aqua. The pillow is now sitting at the end of my couch by the Christmas tree, making me happy. Today I found not one...not two...but three packages waiting for me when my parents brought in the mail. I was so excited that I had to sneak downstairs for a quick peek before my two youngest daughters went down for their afternoon naps. This lovely set was made for me by Kelie (craftnursequilt) for Round 2 of the Modernista Swap, which had a kitchen theme this time. Look at all these goodies! I'm absolutely crazy about those potholders, which I needed desperately. They're now making all the other potholders in my house look pathetic by comparison -- a situation I'll have to remedy in the weeks ahead. I've already put that darling fabric basket and table mat to use, and I love all the sweet extras she included. My girls can't wait to get their hands on those cookie cutters. Can you believe that this was Kelie's first swap? She did such an incredible job! I couldn't believe it when I found out that Lori -- my sweet friend and co-conspirator in our recent Long Weekend blog hop -- was my partner in Round 2 of the Modern She Made Swap. She could not have captured my tastes more brilliantly. Look at all the color, and the great text fabric accents! That pillow cover is absolutely to die for, and I'm completely in love with that armrest sewing kit. She also included a stack of gorgeous fabric and several spools of ribbon. I was totally overwhelmed as I looked at the contents of this package. Lori is so incredibly talented, and you can see it in everything she makes. But if that wasn't enough, I noticed that Lori's return address was also on package number three. Inside I found the treasures you see above along with a thank you card for helping her manage The Long Weekend -- as if all the fun we had doing this blog hop wasn't joy enough! Lori, you're an angel...thank you! After staring awestruck at all of these beauties for a few moments, I tiptoed back upstairs to the girls' room to find Mouse asleep and my sick little Bear (she's been fighting a fever for the past few days) asking me to rock her awhile. As I cuddled her in the rocking chair, I was reminded again that in the midst of all the ups and downs of life, I am so blessed. And isn't it amazing how these reminders come when we need them most? May you receive the reminders that you need today as well. I wish you all a very happy weekend. 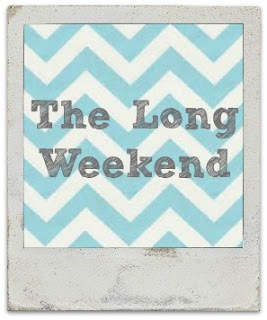 Be sure to stop by Lori's blog today because she'll be announcing the winners from The Long Weekend. You've got to see all the entries too -- absolutely incredible. My deepest thanks to Lori for all she put into this blog hop. She was the genius who came up with this idea in the first place, and I'm so glad she did. Thanks also to all of the lovely women who hosted giveaways and posted their gorgeous bags for the blog hop -- you can find links to their blogs here. I had so much fun working with all of you. You're amazing!! Linking up to Sew Modern Monday. If you're looking for the chance to share pictures of your favorite fabrics with people who understand why this is a big deal, you'll definitely want to head over to Fiona's blog at Finding Fifth. Every week she has a Sunday Stash link-up, and I've been meaning to join for a while now. Since I had a few fun fabric purchases in the last month, I thought I'd put them together in one post. The fabrics put out by organic manufacturers like Birch, Monaluna, and Cloud 9 are some of my favorites. Their designs are so charming, and I particularly love their often retro inspired color palettes. Honestly, I would buy far more organic fabric if I could afford it! When I saw a fat quarter bundle of Fox Hollow on sale at Sew Me a Song -- an incredible place to shop if you've never visited before -- I couldn't resist. I also threw in a favorite Flea Market Fancy print and Alphabet from Books and Letters. I can never have enough text fabrics! This bundle came from Pink Castle Fabrics, and when I pulled it out of the package, I was absolutely delighted. Though I didn't purchase them to necessarily go together in one project, I was surprised at how they all seemed to fit with each other so well. There are some prints from Odds and Ends, The Dressmaking Collection, Marmalade, and Sew Mama Sew. I also have a piece of yarn dyed linen and some of Melody Miller's adorable transistor radios. I can't wait to play with these fun fabrics! This afternoon I'll be finishing up a swap project and delivering our church's Operation Christmas Child shoe boxes to the local distribution center. The little ones are still getting over the flu -- we're at the well-enough-to-be-crabby-but-too-sick-to-go-out stage. Hopefully we'll be doing better soon, since my husband's parents are arriving tomorrow night to be with us for Thanksgiving week. If we can just stay healthy, the week ahead has every sign of being a marvelous one. Linking up to Sunday Stash, guest hosted today at Blossom Heart Quilts. When people say that this bag is a challenge, they aren't kidding. The cutting and prep work are endless, and you're fairly worn out before you even get started. Once you start sewing, though, it's not so bad. Things didn't really become daunting for me until I hit the dreaded step on the directions where you sew all of the exterior panels together. Yikes. I had to rip out seams more than once. A denim needle is well worth your money -- mine never broke even though I was sure it would a few times. You'll do well to go slowly and take your time, both as you sew and as you read through the directions. I read each step through at least twice before plunging ahead. It's a nice sturdy bag, which I like. I followed several people's advice and made my handles longer than the pattern suggested, sewing them in a little more firmly down the sides as well. Since so many people were going the quilted route in our blog hop, and since I had recently made a quilted bag when I put together my Retro Library Case, I decided to try the standard Peltex version for mine. I used a lime green linen for most of the bag, accented with linen Nursery Versery prints by Heather Ross and some colorful scraps thrown in for good measure. I really love the way the paper pieced section turned out, and I hope to be making a pillow soon using this same pattern. My piping was store bought, and I have no regrets about that. It was easy to use and one less thing to have to make ahead. If you do use premade piping, be sure to cut carefully. It takes two packets to do the job, and each one has just enough for the one large pocket and the distance around the main panel. I almost had to go buy another pack because I wasn't as careful as I should have been at first. Once I'm feeling a bit better, I'll be finishing the lining and passing this on to my sister who will be using it as her new diaper bag. I'm so glad that I had the chance to finally try this pattern -- it's been on my to-do list all year long! Drop by Taryn's blog tomorrow for our last stop in the series before you can link up your finished bags at Lori's website. We can't wait to see what's in your Weekender! It's almost impossible for me to believe that I sewed my first quilt just a year ago this month. God bless my mother for buying a new sewing machine when her old one wasn't working right. After nearly two years spent flitting from one hobby to the next, trying desperately to find my niche, sewing turned out to be the one I was waiting for. I really do believe that it saved my sanity as a stay-at-home mom. Though I've spent the last year finding both my footing and my balance, I'm so grateful to have this opportunity to create beauty every day with my own two hands. When I started working on my quilt for the Scrappy Stash Sew Along that Jennifer was hosting at Ellison Lane Quilts, I had no idea that it would be such a moving experience for me. I've been piling up scraps for a year now, trying to decide how best to use them, and these scrappy log cabin blocks could not have been a better fit. Putting these blocks together was a joy. It was like reliving an entire year of happy sewing memories in one quilt, and because of that, I decided to call this project "Memory." Most of you know how much I love text fabrics. It was so fun to use all my favorite text prints as a background for the quartets of colored blocks. I decided to also use my current favorite quilting method: intermittent wavy stitching in vertical lines down the quilt top. The quilt is bound in a grey Posie print from Flea Market Fancy by Denyse Schmidt, one of my favorite lines from one of my favorite designers. As a bonus, I used some of the selvages I've been saving all year to make a quick pillow cover to go along with the quilt on our bed. The border is a botanical text print -- from Timeless Treasures, I believe -- which I absolutely love, and the cover is backed in the dark blue print with red and white flowers (third from the bottom row of selvages). I used the same wavy quilting as I did on the bed quilt, but this time I went horizontally. As you can see, the pillow matches the decor in our bedroom. Believe it or not, the pictures on the wall are actually prints we ordered from Costco's photo department. My husband stained some inexpensive frames to go along with them, and I love the way they look above the antique dresser and chair we have in our room, both passed down from my side of the family. I've had many projects this year that have been among my favorites, but this quilt is definitely at the top of the list. I'm going to treasure this one always. Linking up to Fabric Tuesday, the Scrappy Stash Sew Along, and Finish It Up Friday. I'd love to have more finished since my last post on this, but I keep telling myself that it's not too shabby really. I just keep plodding along, one project at a time, and it's amazing what you can get done if you just keep at it. My scrappy quilt was bound and washed last night, and I've been working on my Weekender this evening. I was at the "just shoot me if I have to cut out one more piece of interfacing" stage earlier today, but now that I'm actually sewing, it's a little more fun. Can't wait to share my bag and my finished scrappy quilt -- and even the extra scrappy pillow I added at the last minute -- with you all next week. Miss Bear came down with a case of stomach flu this morning . . . life is never boring around here. Now that I've just gotten her and little Mouse to sleep, I'm off to curl up with my husband and an old movie (anyone else love Gene Tierney & Dana Andrews in Laura?) and store up my energy for whatever excitement tomorrow will bring. Linking up with Kelsey and the 100 Day Hustle. The Scrappy Stash quilt top is finished, and I'm officially in love. I hadn't expected the top to turn out as large as it did when I first started putting these blocks together. It's just shy of queen size, and my darling husband has said that he doesn't mind a bit if we let this one become the quilt for our bed that I've been meaning to make for almost a year now. I am so delighted at the thought of waking up to the sight of these beautiful colors every morning. Jenelle from Echinops and Aster was kind enough to host our last giveaway before The Long Weekend begins, so head over to check out her beautiful blog and her great post on all things Weekender. Remember that our hop starts this Friday with Jennifer from Ellison Lane Quilts. I can't wait to see how everyone's bags turned out! 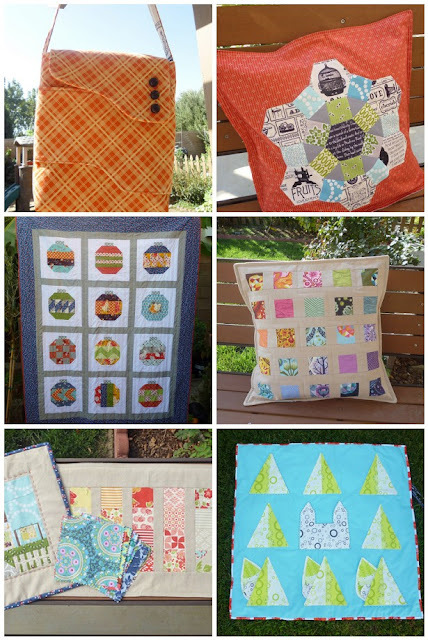 Jennifer of Knotted-Thread is looking for people who can contribute quilt blocks. 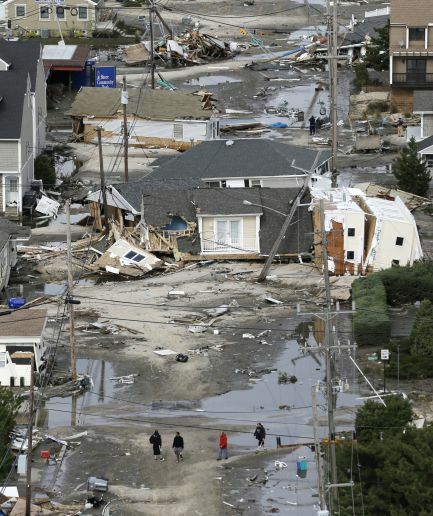 The blocks will be joined into quilts and personally delivered by her later this month to people in her home state of New Jersey who are dealing with stunning losses from Sandy's devastation. If you can help, please check out the Flickr group here. It's a small thing, but in the face of so much pain, sometimes it's the small things that matter most. November has always been one of my favorite months of the year, probably because Thanksgiving is my favorite holiday. I love the cooler weather, the fall decorations, the great food, and the knowledge that Christmas is just around the corner. It just doesn't get any better than this for me. October was a month with plenty of variety -- a bag, two pillows, quilts in all sizes. It was great to make progress on my to-do list and wonderful to even have a project featured in the latest Fat Quarterly Issue. My biggest finish was definitely my Vintage Holiday quilt. Thanks so much to all of you who sewed along with me over the past few months!